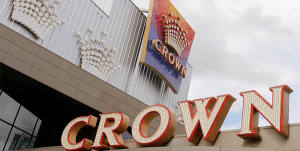 Problem gambling review - is Crown Casino exempt from changes? Posted on December 5, 2016 at 1:49 pm. James Packer’s Crown Casino is often said to receive preferential treatment from the government and those in positions of power who benefit from its financial gains. Now an expert in pokie machine research has accused the Victorian government of purposely excluding Crown Melbourne from its review on problem gambling, leaving the casino free from the state gambling regulations that are currently under review. As part of the review of existing gambling regulations, the Victorian government put out a call for industry and community feedback on its suggested areas of change. Suggestions include placing a restriction on 24-hour access to gambling, establishing cash withdrawal limits, restriction of the auto-play function and changes to the maximum betting limit on pokie machines. While all suggested changes pave the way towards establishing more responsible gambling practices, punters at Crown Casino may be exempt from these restrictions. Dr Charles Livingstone, a head researcher on problem gambling at Monash University has said many of these changes would not apply to Melbourne’s casino. “Casinos have ATMs in their lobbies, whereas pubs and clubs can’t do that anymore,” he said. “By and large casinos haven’t been bound by many of the measures aimed at pubs and clubs. Loyalty cards in casinos allow unrestricted maximum bets. The pre-commitment system is voluntary and unlikely to be taken up by those experiencing harm. Dr Livingstone also accused the Victorian government of conducting the review during the busy Christmas season in hope that it might slip under the radar and receive fewer submissions. Marlene Kairouz, the minister for gaming and liquor regulation, disagreed, saying the long-overdue review is a genuine effort to restrict the harm caused by problem gambling in Australia. To establish safe gambling practices, Dr Livingstone believes all casinos should have a mandatory pre-commitment system. He also thinks the review should include an investigation into the design of electronic poker machines and how their processes are designed to be addictive. We’re not entirely sure how valid Dr Livingstone’s accusations are, but it wouldn’t be the first time the government has been suspected of bending the rules in favour of Crown, and it certainly won’t be the last. If the suggested changes to gambling regulations do go ahead but fail to apply to the Crown, it’s simply hard evidence the government cares more about its gambling-funded revenue than it does about protecting vulnerable members of the community. After all, what use is limiting the hours and amount of bets a punter can place at their local pub, when they can just head into the city to gamble unrestricted at Crown any hour of the day? We assume Dr Livingstone is correct in his allegations, but will follow the news on the regulation review closely and report back with any changes. Bookmark our site to stay up to date with all the latest news as it unfolds.